This article is about the Iraqi city. For the Iraqi district, see Fallujah District. For the depopulated Palestinian village, see Al-Faluja. For the heavy metal band, see Fallujah (band). Fallujah[lower-alpha 1] (Arabic: الفلوجة‎‎, al-Fallūjah Iraqi pronunciation: [el.fɐl.ˈluː.dʒɐ]) is a city in the Iraqi province of Al Anbar, located roughly 69 kilometers (43 mi) west of Baghdad on the Euphrates. Fallujah dates from Babylonian times and was host to important Jewish academies for many centuries. The city grew from a small town in 1947 to a population of 275,128 inhabitants in 2011. 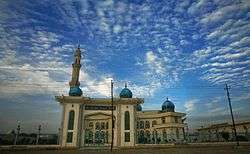 Within Iraq, it is known as the "city of mosques" for the more than 200 mosques found in the city and the surrounding villages. In January 2014, the city was captured by the Islamic State of Iraq and the Levant (ISIS; sometimes called ISIL) and suffered major population loss. On 23 May 2016, Iraqi forces announced the beginning of their attempt to retake Fallujah from ISIS. On 26 June 2016 the city was declared fully liberated by the Iraqi army. The region has been inhabited for many millennia. There is evidence that the area surrounding Fallujah was inhabited in Babylonian times. The current name of the city is thought to come from its Syriac name, Pallgutha, which is derived from the word division or "canal regulator" since it was the location where the water of the Euphrates River divided into a canal. Classical authors cited the name as "Pallacottas". The name in Aramaic is Pumbedita. 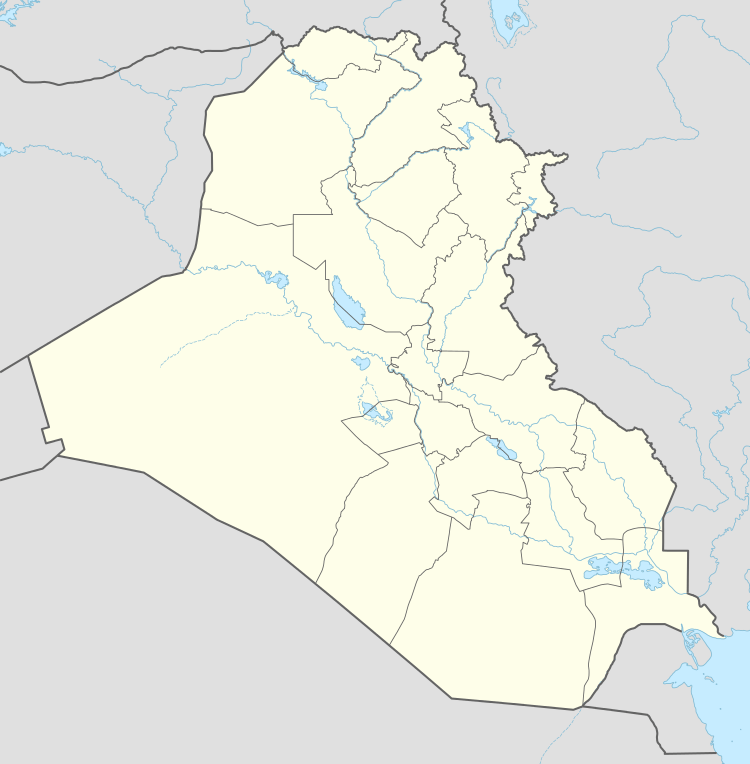 The region of Fallujah lies near the ancient Sassanid Persian town of Anbar, in the Sassanid province of Asōristān . 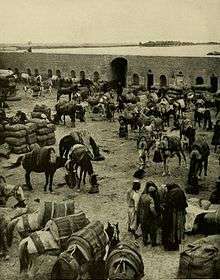 The word anbar is Persian and means "warehouse". It was known as Firuz Shapur or Perisapora during the Sassanian Era. There are extensive ruins 2 km (1 mi) north of Fallujah which are identified with the town of Anbar. Anbar was located at the confluence of the Euphrates River with the King's Canal, today the Saqlawiyah Canal, known in Early Islamic times as the Nahr 'Isa and in ancient times as Nahr Malka. Subsequent shifts in the Euphrates River channel have caused it to follow the course of the ancient Pallacottas canal. The town at this site in Jewish sources was known as Nehardea and was the primary center of Babylonian Jewry until its destruction by the Palmyran ruler Odenathus in 259. The Medieval Jewish traveller Benjamin of Tudela in 1164 visited "el-Anbar which is Pumbeditha in Nehardea" and said it had 3000 Jews living there. The region played host for several centuries to one of the most important Jewish academies, the Pumbedita Academy, which from 258 to 1038 along with Sura (ar-Hira) was one of the two most important centers of Jewish learning worldwide. Under the Ottoman Empire, Fallujah was a minor stop on one of the country's main roads across the desert west from Baghdad. In the spring of 1920, the British, who had gained control of Iraq after the collapse of the Ottoman Empire, sent Lieut.-Colonel Gerard Leachman, a renowned explorer and a senior colonial officer, to meet with local leader Shaykh Dhari, perhaps to forgive a loan given to the sheikh. Exactly what happened depends on the source, but according to the Arab version, Gerard Leachman was betrayed by the sheikh who had his two sons shoot him in the legs, then behead him by the sword. During the brief Anglo-Iraqi War of 1941, the Iraqi army was defeated by the British in a battle near Fallujah. In 1947 the town had only about 10,000 inhabitants. It grew rapidly into a city after Iraqi independence with the influx of oil wealth into the country. Its position on one of the main roads out of Baghdad made it of central importance. Under Saddam Hussein, who ruled Iraq from 1979 to 2003, Fallujah came to be an important area of support for the regime, along with the rest of the region labeled by the US military as the "Sunni Triangle". Many residents of the primarily Sunni city were employees and supporters of Saddam's government, and many senior Ba'ath Party officials were natives of the city. Fallujah was heavily industrialised during the Saddam era, with the construction of several large factories, including one closed down by United Nations Special Commission (UNSCOM) in the 1990s that may have been used to create chemical weapons. A new highway system (a part of Saddam's infrastructure initiatives) circumvented Fallujah and gradually caused the city to decline in national importance by the time of the Iraq War. During the Gulf War, Fallujah suffered one of the highest tolls of civilian casualties. Two separate failed bombing attempts on Fallujah's bridge across the Euphrates River hit crowded markets, killing an estimated 200 civilians. The first bombing occurred early in the Gulf War. A British jet intending to bomb the bridge dropped two laser-guided bombs on the city's main market. Between 50 and 150 civilians died and many more were injured. In the second incident, Coalition forces attacked Fallujah's bridge over the Euphrates with four laser-guided bombs. At least one struck the bridge while one or two bombs fell short in the river. The fourth bomb hit another market elsewhere in the city, reportedly due to failure of its laser guidance system. Fallujah as seen from the West, April 2004. Fallujah was one of the least affected areas of Iraq immediately after the 2003 invasion by the US-led Coalition. Iraqi Army units stationed in the area abandoned their positions and disappeared into the local population, leaving unsecured military equipment behind. Fallujah was also the site of a Ba'athist resort facility called "Dreamland", located a few kilometers outside the city proper. The damage the city had avoided during the initial invasion was negated by damage from looters, who took advantage of the collapse of Saddam Hussein's government. The looters targeted former government sites, the Dreamland compound, and the nearby military bases. Aggravating this situation was the proximity of Fallujah to the infamous Abu Ghraib prison, from which Saddam, in one of his last acts, had released all prisoners. The new mayor of the city—Taha Bidaywi Hamed, selected by local tribal leaders—was strongly pro-American. When the US Army entered the town in April 2003, they positioned themselves at the vacated Ba'ath Party headquarters. A Fallujah Protection Force composed of local Iraqis was set up by the US-led occupants to help fight the rising resistance. On the evening of 28 April 2003, a crowd of 200 people defied a curfew imposed by the Americans and gathered outside a secondary school used as a military HQ to demand its reopening. Soldiers from the 82nd Airborne stationed on the roof of the building fired upon the crowd, resulting in the deaths of 17 civilians and the wounding of over 70. American forces claim they were responding to gunfire from the crowd, while the Iraqis involved deny this version. Human Rights Watch also dispute the American claims, and says that the evidence suggests the US troops fired indiscriminately and used disproportionate force. A protest against the killings two days later was also fired upon by US troops resulting in two more deaths. On 31 March 2004, Iraqi insurgents in Fallujah ambushed a convoy containing four American private military contractors from Blackwater USA, who were conducting delivery for food caterers ESS. The four armed contractors, Scott Helvenston, Jerry (Jerko) Zovko, Wesley Batalona, and Michael Teague, were dragged from their cars, beaten, and set on fire. Their charred corpses were then dragged through the streets before being hung from a bridge spanning the Euphrates River. This bridge is unofficially referred to as "Blackwater Bridge" by Coalition Forces operating there. Photographs of the event were released to news agencies worldwide, causing outrage in the United States, and prompting the announcement of a campaign to reestablish American control over the city. This led to an abortive US operation to recapture control of the city in Operation Vigilant Resolve, and a successful recapture operation in the city in November 2004, called Operation Phantom Fury in English and Operation Al Fajr in Arabic. Operation Phantom Fury resulted in the reputed death of over 1,350 insurgent fighters. Approximately 95 American troops were killed, and 560 wounded. After the successful recapture of the city, U.S. forces discovered a room in which they claimed to find evidence of a beheading, and bomb-making factories, which were shown to the media as evidence of Fallujah's important role in the insurgency against U.S. forces. They also found two hostages—an Iraqi and a Syrian. The Syrian was the driver for two French journalists, Christian Chesnot and Georges Malbrunot, who had been missing since August 2004. The Iraqi's captors were Syrian; he thought he was in Syria until found by the Marines. Chesnot and Malbrunot were released by their captors, the Islamic Army in Iraq, on 21 December 2004. The U.S. military first denied that it has used white phosphorus as an anti-personnel weapon in Fallujah, but later retracted that denial, and admitted to using the incendiary in the city as an offensive weapon. According to George Monbiot, reports following the events of November 2004 have alleged war crimes, human rights abuses, and a massacre by U.S. personnel. This point of view is presented in the 2005 documentary film, Fallujah, The Hidden Massacre. On 17 May 2011, AFP reported that 21 bodies, in black body-bags marked with letters and numbers in Latin script had been recovered from a mass grave in al-Maadhidi cemetery in the center of the city. Fallujah police chief Brigadier General Mahmud al-Essawi said that they had been blindfolded, their legs had been tied and they had suffered gunshot wounds. The Mayor, Adnan Husseini said that the manner of their killing, as well as the body bags, indicated that US forces had been responsible. Both al-Essawi and Husseini agreed that the dead had been killed in 2004. The US Military declined to comment. Residents were allowed to return to the city in mid-December 2004 after undergoing biometric identification, provided they wear their ID cards all the time. US officials report that "more than half of Fallujah's 39,000 homes were damaged during Operation Phantom Fury, and about 10,000 of those were destroyed" while compensation amounts to 20 percent of the value of damaged houses, with an estimated 32,000 homeowners eligible, according to Marine Lt Col William Brown. According to NBC, 9,000 homes were destroyed, thousands more were damaged and of the 32,000 compensation claims only 2,500 have been paid as of 14 April 2005. According to Mike Marqusee of Iraq Occupation Focus writing in the Guardian, "Fallujah's compensation commissioner has reported that 36,000 of the city's 50,000 homes were destroyed, along with 60 schools and 65 mosques and shrines". Reconstruction mainly consists of clearing rubble from heavily damaged areas and reestablishing basic utility services. 10% of the pre-offensive inhabitants had returned as of mid-January 2005, and 30% as of the end of March 2005. In 2006, some reports say two-thirds have now returned and only 15 percent remain displaced on the outskirts of the city. Pre-offensive inhabitant figures are unreliable; the nominal population was assumed to have been 250,000–350,000. Thus, over 150,000 individuals are still living as IDPs in tent cities or with relatives outside Fallujah or elsewhere in Iraq. Current estimates by the Iraqi Ministry of Interior and Coalition Forces put the city's population at over 350,000, possibly closing in on half a million. In the aftermath of the offensive, relative calm was restored to Fallujah although almost-daily attacks against coalition forces resumed in 2005 as the population slowly trickled back into the city. From 2005–06, elements of the New Iraqi Army's 2nd and 4th brigades, 1st Division, occupied the city while the Marines maintained a small complex consisting of a security element from RCT8 and a CMOC at the city hall. The Iraqi units were aided by Military Transition Teams. Most Marine elements stayed outside of the city limits. 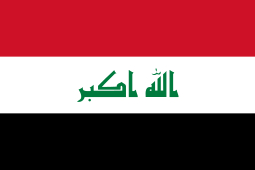 In December 2006, enough control had been exerted over the city to transfer operational control of the city from American forces to the 1st Iraqi Army Division. During the same month, the Fallujah police force began major offensive operations under their new chief. Coalition Forces, as of May 2007, are operating in direct support of the Iraqi Security Forces in the city. The city is one of Anbar province's centers of gravity in a newfound optimism among American and Iraqi leadership about the state of the counterinsurgency in the region. In June 2007, Regimental Combat Team 6 began Operation Alljah, a security plan modeled on a successful operation in Ramadi. After segmenting districts of the city, Iraqi Police and Coalition Forces established police district headquarters in order to further localize the law enforcement capabilities of the Iraqi Police. A similar program had met with success in the city of Ramadi in late 2006 and early 2007 (See Battle of Ramadi). In January 2014, a variety of sources reported that the city was controlled by al-Qaeda and/or the Islamic State of Iraq and the Levant (ISIS; sometimes called ISIL). On a broadcast of National Public Radio's All Things Considered, Middle East analyst Kirk Sowell stated that while ISIS was occupying parts of the city, most of the ground lost was to the tribal militias who are opposed to both the Iraqi government and al-Qaeda. More than 100 people were killed as Iraqi police and tribesmen battled militants who took over parts of two cities on Anbar province. On the same day, the Iraqi Army shelled the city of Fallujah with mortars to try to wrest back control from Sunni Muslim militants and tribesmen, killing at least eight people, tribal leaders and officials said. Medical sources in Fallujah said another 30 people were wounded in shelling by the army. Despite various reports stating that the ISIS was behind the unrest, Christian Science Monitor journalist Dan Murphy disputed this allegation and claimed that while ISIS fighters have maintained a presence in the city, various tribal militias who sympathized with the ideas of nationalism and were opposed to both the Iraqi government and the ISIS controlled the largest share of area in Fallujah. A report from Al Arabiya also backed this claim and alleged that the relationship between the tribesmen and the ISIS militants was only logistical. On 14 January, various tribal chieftains in the province acknowledged "revolutionary tribesmen" were behind the uprising in Fallujah and other parts of Anbar and announced they would support them unless Maliki agreed to cease the ongoing military crackdowns on tribesmen. Speaking on condition of anonymity at the end of May 2014, an Anbar-based Iraqi government security officer told Human Rights Watch that ISIS controlled several neighborhoods of southeast Fallujah as well as several northern and southern satellite communities, while local militias loyal to the Anbar Military Council controlled the central and northern neighborhoods of the city; however, Human Rights Watch stated that they could not confirm these claims. Despite of the discussion which groups initially controlled the city, Fallujah was mostly referred to as under ISIL/ISIS control during the occupation. After beginning a campaign to liberate Anbar Governorate from ISIL in July 2015, in February 2016, the Iraqi army and its allies started to encircle the city in the Siege of Fallujah. On 22 May 2016, Operation Breaking Terrorism was launched to recapture Fallujah, marking the beginning of the Battle of Fallujah. On 22 May 2016, the Iraqi Army notified the remaining Fallujah residents of its plans to soon battle to retake the city, and that such residents should either evacuate, or if not possible, to minimally raise a white flag over their roofs. Over the next several days, the army made advances on the city, capturing several surrounding villages on the outskirts on the town, killing a total of ~270 ISIL fighters, at least 35 members of Iraqi forces, ~40 civilians, and 1 Basij member, as of 1 June 2016. On 30 May 2016, the military began to enter the city of Fallujah itself, but began to be stalled on 1 June, trying to attack ISIL members, but keeping the tens of thousands of civilians still trapped inside the city safe. However, by 3 June they began to make further advances on the city, killing 62 more ISIL militants. On 26 June, the Iraqi army reported that it had fully liberated the city, while fighting was ongoing in some pockets northwest of Fallujah which remained under ISIL control. Fallujah's western boundary is the Euphrates River. The Euphrates flows from the west (Ramadi), past Fallujah, and into the Baghdad area. When the river reaches the western edge of Fallujah, it turns north, then quickly south, forming what is commonly referred to as the 'peninsula' area. There are two bridges that cross the Euphrates at Fallujah. The city's eastern boundary is Highway 1, a four-lane, divided superhighway that travels from Baghdad past Fallujah towards the west. After the sanctions imposed by the UN after the 1991 Gulf War, this highway became the main supply route for the country. Truckers and travelers from Saudi Arabia, Jordan and southern Syria all merge onto this highway prior to entering the Eastern Al Anbar province. The highway has a prominent 'cloverleaf' interchange with Highway 10 on the eastern edge of Fallujah. Highway 10, which also runs through Fallujah. It is a two-lane highway that turns into a four lane highway once inside of Fallujah. The highway runs east-west from Baghdad through Fallujah then west towards Ramadi. A 'cloverleaf' on-ramp allows for traffic on/off Highway 1. The highway basically splits the city into two halves, north and south. The northern boundary is a railroad line that runs east-west just along the northern edge of the city. The line sits atop a 10–15 foot high berm all along the northern edge of the city, except where it crosses Highway 1. There are three major hospital locations in Fallujah. The main hospital (formerly Saddam General) is located downtown, near the west end. The second is located across the Euphrates River in an area of west Fallujah commonly referred to as the 'peninsula', (due to its shape). The third hospital is the Jordanian Field Hospital located east of the Highway 10/Highway 1 interchange. In 2010 it was reported that an academic study had shown "a four-fold increase in all cancers and a 12-fold increase in childhood cancer" since 2004. In addition, the report said the types of cancer were "similar to that in the Hiroshima survivors who were exposed to ionising radiation from the bomb and uranium in the fallout", and an 18% fall in the male birth ratio (to 850 per 1000 female births, compared to the usual 1050) was similar to that seen after the Hiroshima bombing. Unfortunately due to the study Methodology the authors had to include a significant qualifier by saying "Whilst the results seem to qualitatively support the existence of serious mutation-related health effects in Fallujah, owing to the structural problems associated with surveys of this kind, care should be exercised in interpreting the findings quantitatively.". 1 2 "Iraq government loses control of Fallujah: PM Maliki vows "terrorists" will be eliminated after Islamic State of Iraq and Levant takes over town in Anbar province". Al Jazeera. 4 January 2014. ↑ Hassan, Falih; Arango, Tim (23 May 2016). "Iraqi Forces Try to Retake Falluja From ISIS". The New York Times. Retrieved 24 May 2016. 1 2 "Iraq claims complete control over Fallujah, Islamic State resistance collapse". News.com.au. 26 June 2016. Retrieved 27 June 2016. ↑ Iraq: U.S. Should Investigate al-Falluja (Report). Human Rights Watch. 17 June 2003. Retrieved 8 January 2014. ↑ Michaels, Jim (4 January 2014). "Al-Qaeda militants in Iraq seize much of Fallujah: The fighting is the worst violence since U.S. forces left Iraq at the end of 2011". USA Today. ↑ "Iraq conflict: Sunni fighters 'control all of Fallujah'". BBC. 4 January 2014. Al-Qaeda-linked militants now control the south of the city, a security source told the BBC. An Iraqi reporter there says tribesmen allied with al-Qaeda hold the rest of Fallujah. ↑ Memmont, Mike (4 January 2013). "'No One Controls Fallujah,' Which U.S. Soldiers Fought To Free". National Public Radio. Retrieved 4 January 2013. ↑ "Fallujah outside Iraq government control: security official". The Daily Star. 4 January 2014. ↑ "More than 100 die as Iraq battles Al-Qaeda". The Daily Star. 4 January 2014. ↑ "Iraq army shells Falluja to dislodge Qaeda, tribes". The Daily Star. 4 January 2014. Retrieved 4 January 2014. ↑ Dan Murphy (9 January 2013). "What's really going on in Iraq's Anbar Province?". Christian Science Monitor. Retrieved 11 January 2013. ↑ Theodore Karasik (14 January 2014). "Iraq's Anbar: is religion trumping tribe?". Al Arabiya. Retrieved 6 March 2014. ↑ "Iraq: Government Attacking Fallujah Hospital: Barrel Bombs Hit Residential Areas". Human Rights Watch. 27 May 2014. Retrieved 11 June 2014. ↑ "Iraqi, allied militias advance on Fallujah; new tactics squeeze ISIS". Rudaw English. Retrieved 21 June 2016. ↑ "'Human Catastrophe' Unfolds As Iraqi Army And ISIS Clash Outside Fallujah". Huffington Post. Retrieved 21 June 2016. ↑ "Battle for Fallujah: Iraqi troops die in ISIL attacks". Wikimedia Commons has media related to Fallujah.